CSIR-Central Electronics Engineering Research Institute, popularly known as CSIR-CEERI, is a constituent establishment of the Council of Scientific and Industrial Research (CSIR), New Delhi. The foundation stone of the institute was laid on 21st September , 1953 by the then Prime Minister Pt. Jawahar Lal Nehru. The actual R&D work started towards the end of 1958. 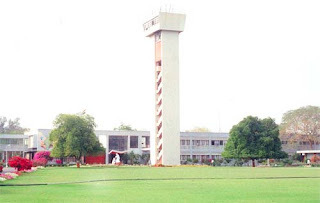 The Institute (CSIR-CEERI) has since blossomed into a center of excellence for development of technology and for advanced research in electronics. Over the years the institute has developed a number of products and processes and has established facilities to meet the emerging needs of electronics industry. To provide technical services for specific needs towards product development, precision and quality.